Merryweather Cottage01263 715779work01603 870304fax Self-cateringA delightful two bedroom terraced property, situated in the sea-side village of Mundesley. The property is quietly situated and has been completely renovated and finished to a contemporary, character cottage style. Mundesley is a lovely traditional sea-side village, ideal for families with its golden sandy beach, shops, pubs, restaurants and skate park with further facilities just a few miles away. Merryweather Cottage offers weekly bookings starting on Saturday. 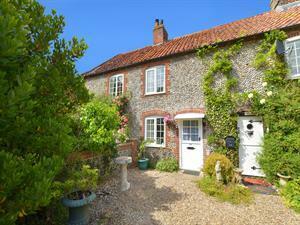 A delightful two bedroom terraced property, situated in the sea-side village of Mundesley. The property is quietly situated and has been completely renovated and finished to a contemporary, character cottage style. Mundesley is a lovely traditional sea-side village, ideal for families with its golden sandy beach, shops, pubs, restaurants and skate park with further facilities just a few miles away.